Russia invaded Ukraine in 2014 with its army. 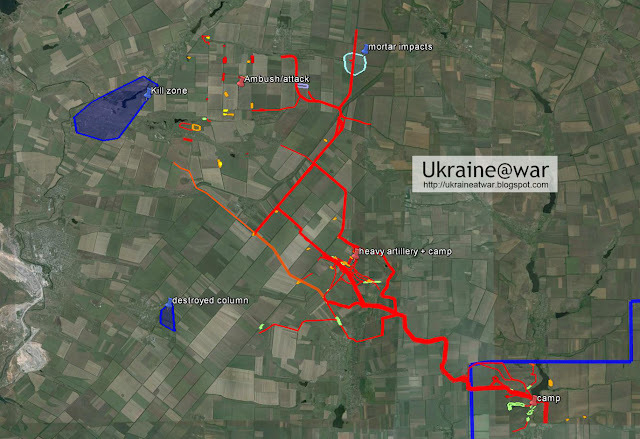 Google Earth reveals that this happened on numerous locations at the Ukrainian border. There are locations where hundreds of vehicles passed and locations where just a team with a mortar sneaked in, shelled a border post and sneaked back into Russia. Here is the top ten of explicit examples. We'll start with the Russian Donetsk area, where the 'official' Izvaryne border crossing is. It was the last area for Ukraine to close from Russian intrusions, but they never succeeded to do so. This 2013 image already shows the border is porous. Several tracks lead in/out of Ukraine. This is either used by locals and/or for smuggling. Also the area north of it now shows very intensive use. It looks like a dam breach :-). On August 31st we see that the trees had been used as a parking/camping ground (green square). This is a typical practice for military vehicles. Any one of the border crossings in this area must have been used to transport the MH17 BUK across the border. This is not just a track anymore. It is so intensively used, it is a road by now. Dozens to hundreds of vehicles have passed here. At this location a complete borderpost originated! A tank can be seen that had crossed the border and is waiting and/or guarding it. Likely they are about to cross the border there. This camp can only be seen on the 8-8 image. It was very short-lived. It means they all drove into Ukraine, probably to fight at Lugansk Airport. This is the first major invasion area, covered in this blog. The goal was to block off the Ukrainian border troops. After this invasion, the other two big invasions (towards Lugansk Airport and Ilovaisk) could happen. As can be seen on the map above, on the Russian side it has been really busy here. 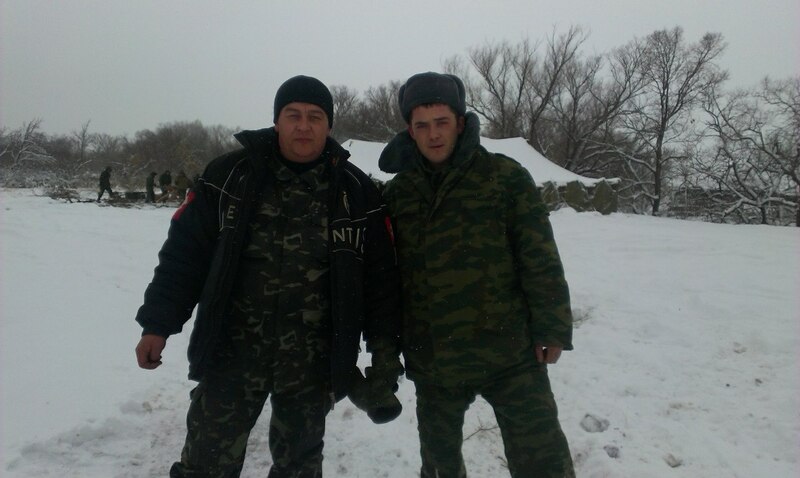 The Russians had been cutting of the Ukrainian army along the border at this location. Heavy fighting had been going on back and forth. The area shows numerous battle groups and incursions. But since this is an official border crossing with a road, most traffic can't be seen. After the Dibrivka and Marinovka invasion areas, this is a very big one, that lead to the Ilovaisk disaster. See this blog. Here we can see 'something' happened in a field (orange area). Very small tracks (the thin white lines) lead to and from that position. They go downwards to the border (arrow). The tracks are too small for a vehicle. It must be from people walking. So this must have been a mortar position that was used to shell the Ukrainian borderpost at Chervonopartyzansk (near Gukovo on Russian side). After shelling they could quickly retreat to safety into Russia again.